Merry Mothers Day y’all. 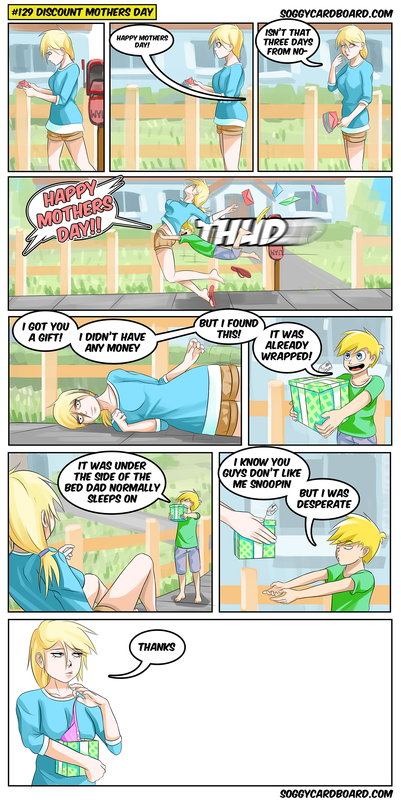 Make sure your tackle your moms on this blessed day. And aim for the spine. Always aim for the spine. …where was he hiding that huge box when he tackled her? My theory is that Joey is secretly a demigod that has the ability to access multiple pocket dimensions in which he stores every item he may need at a time. Or, from inside the box it would read as LIAM. Unfortunately I can’t aim for Mum’s spine, She has spinal issues. That’s existentialist talk, nothing about your moms spinal issues prevents you from aiming for the spine. It’s funny because we English celebrated our mothers at the end of March. Catch up, rest of the world. Y’all need to appreciate your mums sooner.